AWS provides a 750 hours free tier on Windows machine. I am always wondering how to install wordpress on it to use this free tier instance . Here is all steps I followed today. 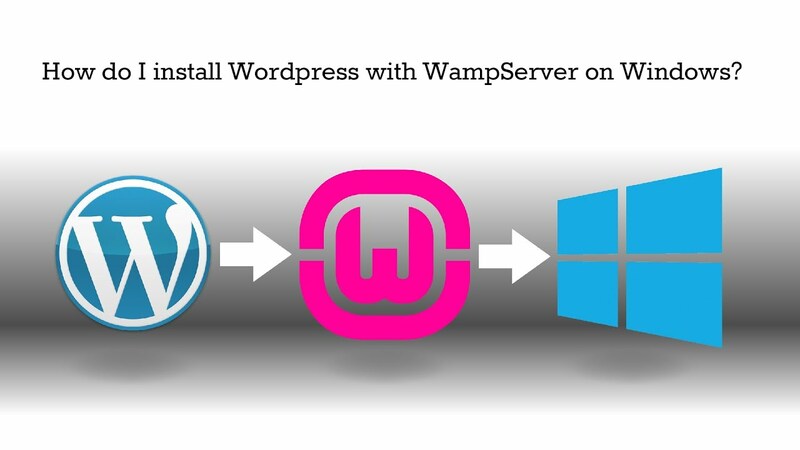 Most steps are same as WPMU DEV's post "Setting Up WordPress Locally for PC/Windows with WampServer". I do add some of my own experience in the steps. 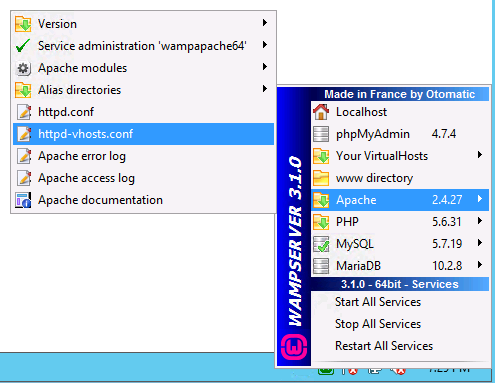 Basically WampServer = (Apache, PHP, MySQL on Windows). WAMP is the software suite installed on popular Windows operate system, includes Apache, MySQL, PHP and some other tools. It is derived from LAMP which stands for Linux, Apache, MySQL, and PHP. As the name implies, while LAMP is used on Linux servers, WAMP is used on Windows servers. 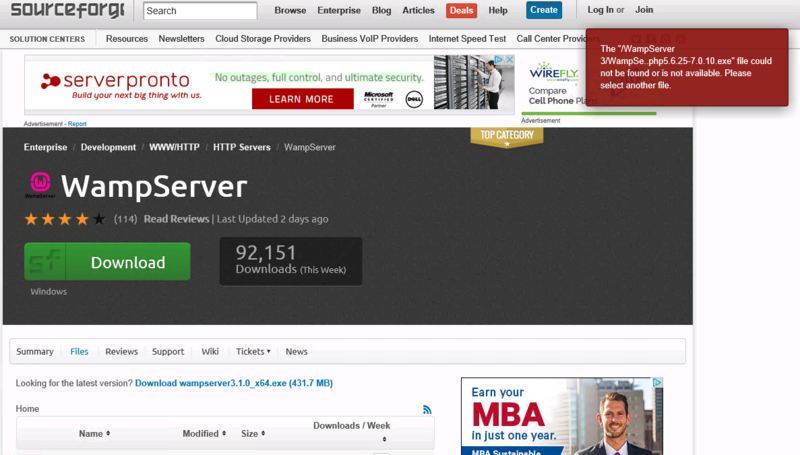 Note: Microsoft WebPI is another popular way to install wordpress on Windows server. But truly not recommend. I managed to get it working and eventually still find WAMP is better and easier to use. 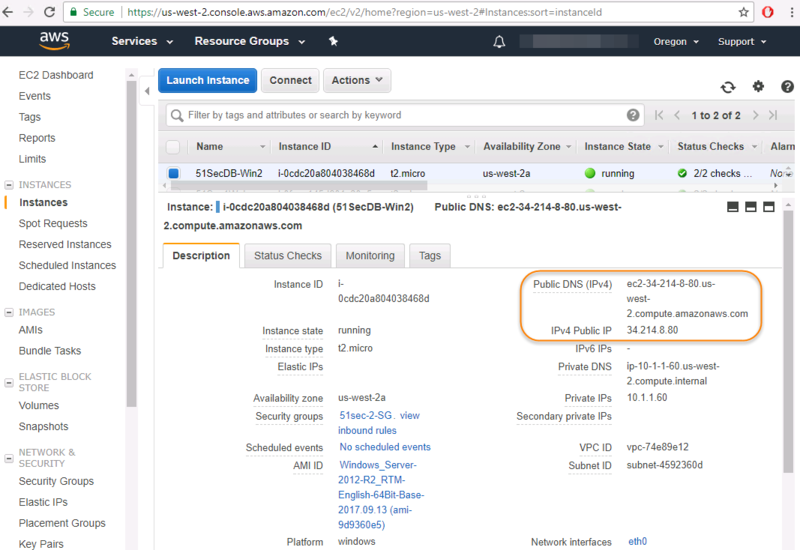 My previous post Launch and Access Amazon AWS EC2 Instances has detailed steps how to launch one. This time , I choose Microsoft Windows Server 2012 R2 Base. I have tried 2016 Base, but since it is only has 1G Ram and 1 virtual core, 2012 is better option. Also keep it in mind , it is 64bit version. Later if you need to install any software, it is best to get 64bit version to do installation. 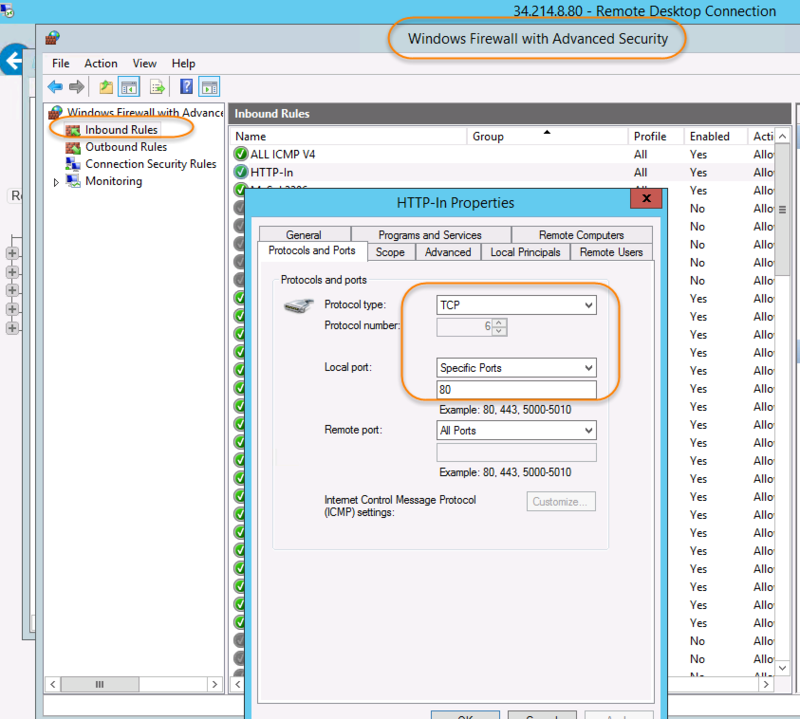 Follow screen, make sure choose right Network (VPC), right Subnet (Availability Zone) and enable auto-assign public ip. I always assign a static private ip for my instance. It is much convenient to do configuration later cross multiple instances. RDP process is standard. After you decrypted your administrator password, you can RDP to it as long as your security group opened the port. I always create another user and put it into administrators group for future access. In this way, I do not have to decrypt my administrator password each time when I need to access windows machine. http://www.wampserver.com/en/ provides you download link. 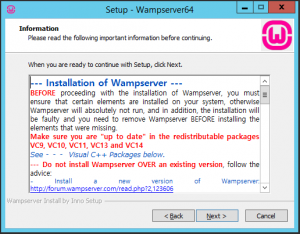 Make sure you are choosing WAMPServer 64 Bits (X64) version. It is 431M file. But download it from AWS instance is just one minute thing. There is one thing you have to be very careful. Before start installation, you will need to install all suggested VC redistributable packages includes vc9, vc10, vc11, vc13 and vc 14.. All download links have been provided in the Setup Information page. You will have to install those VC redistributable packages to start some services later. After installed WAMPServer, you should be able to see a green icon on your windows task bar notification area. open http://localhost page from your IE browser. It automatically load c:/wamp64/www/index.php file. Download latest wordpress from https://wordpress.org. Since I like wordpress be my homepage. I copied all extracted files into c:/wamp64/www folder, which is default Web Site folder created by installation of WAMPServer. 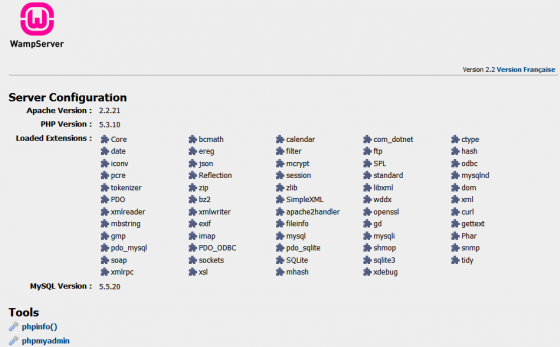 Launch PhpMyAdmin from http://localhost/phpmyadmin or from WAMPServer green icon. By default, you can use root user to log in phpMyAdmin without password. 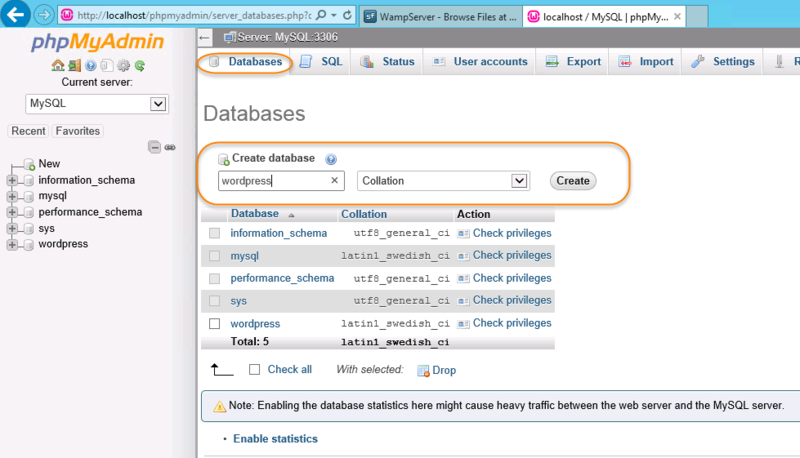 Create a new database wordpress for your next step to install Wordpress. PING mysql2.c33rmuszoxid.us-west-2.rds.amazonaws.com (10.10.0.117) 56(84) bytes of data. use wordpad or notepad to open wp-config.php file under the folder c:/wamp64/www. change DB_Name, DB_User and DB_Password to the one as show below. There is no change on DB_HOST name since wordpress will only need to connect to local MySql. If you are using remote MySQL, that will be your remote DB server's ip address or DNS name. Enter site title and username / password which will be used to manage your wordpress site. 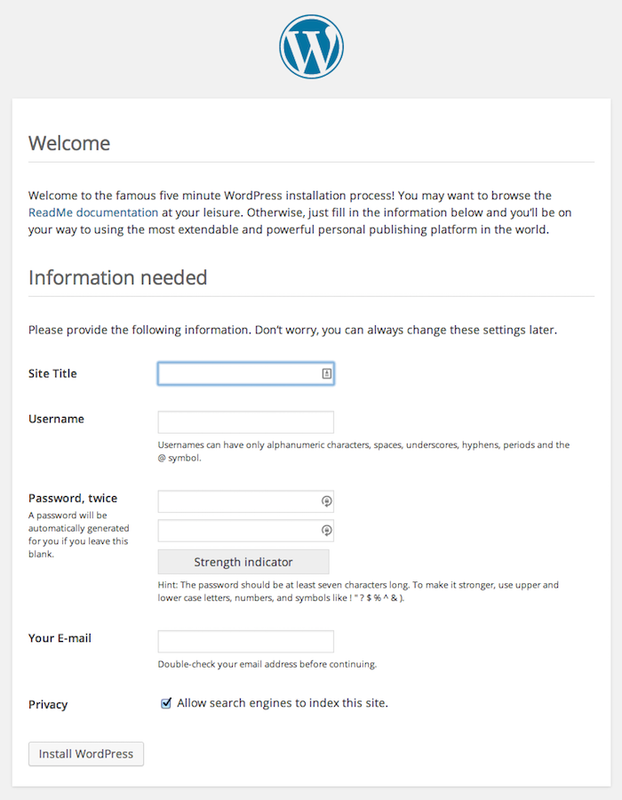 Then you can click Install WordPress button to finish the whole wordpress installation process. Now you have installed Wordpress site and it is working fine at http://localhsot this link. How about your own domain such as my netsec.51sec.org. How to get it working with your own domain? 6.1 Get your instance public ip and registered with your domain provider. 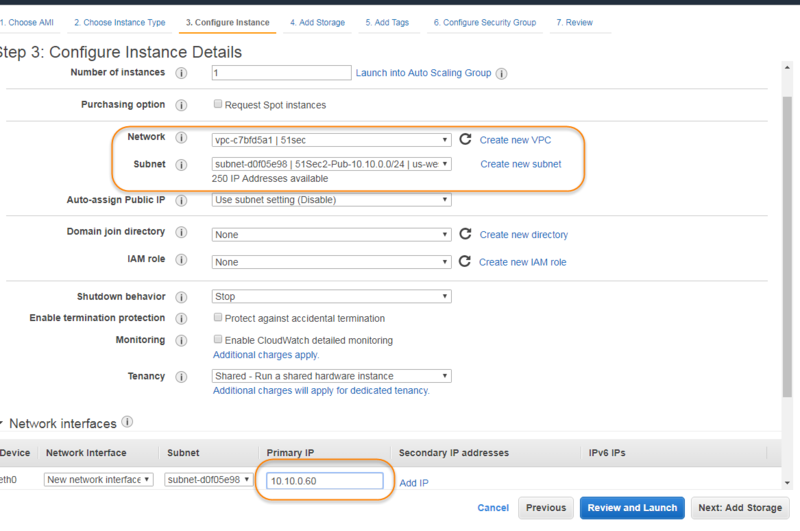 From AWS console, you should be able to get an automatically assigned public ip address. 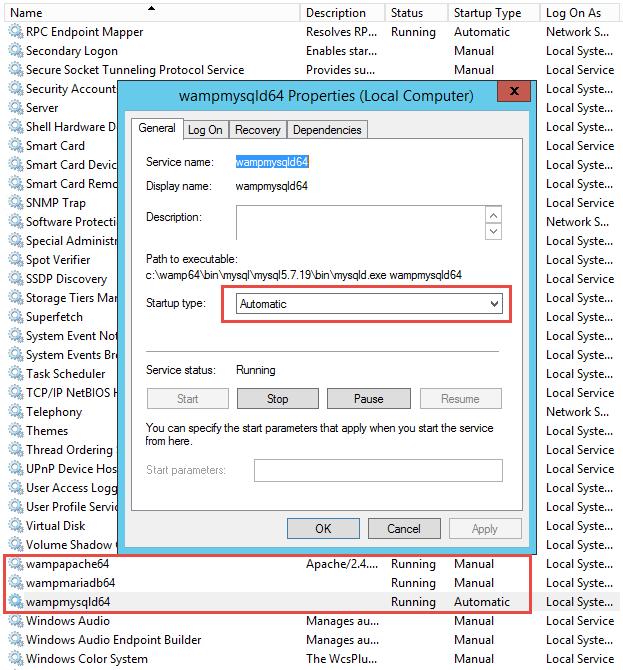 This public ip will change each time when you stop or reboot your windows instance. There is no problem if you just use it temporary. Or if you intend to keep it same all the time, you can get a fixed Elastic IP for free. In my test environment, 34.214.8.80 is one I got as temporary one. My domain provider is GoDaddy. Under doamin 51sec.org, I added one A record netsec which value is 34.214.8.80. In this way, all request to netsec.51sec.org will be translated to public ip 34.214.8.80, which is my AWS windows instance. There are two firewalls. One is security group on AWS EC2 console. You will need to allow http (tcp 80) opened for 0.0.0.0/0. Second is local windows firewall which is inside your windows server. 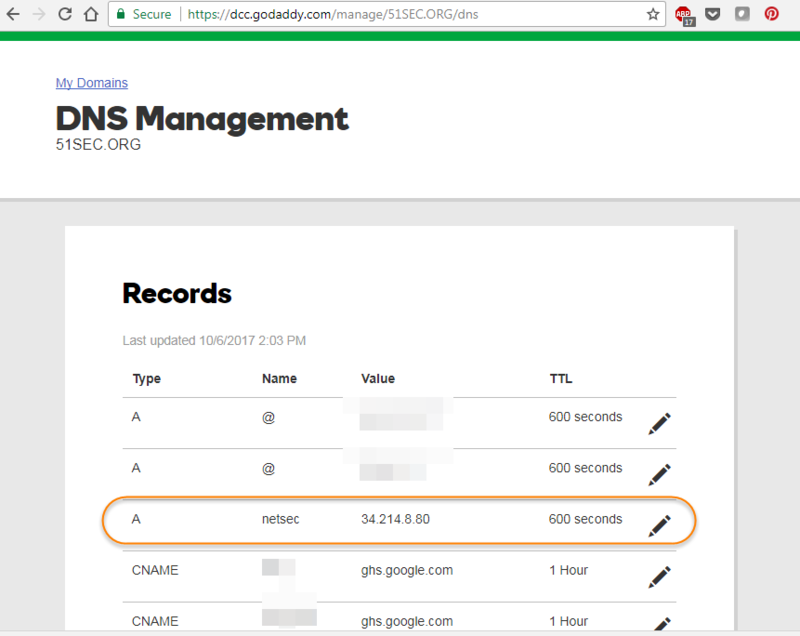 Change ServerName and Server Alias from localhost to netsec.51sec.org. 6.4. 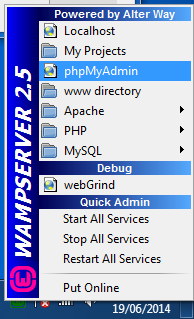 Restart All Services from WAMPServer green icon. Since your wordpress was configured to use localhost, the siteurl and home configuration is set to http://localhost. They will need to change to http://netsec.51sec.org. 7.1 Log in as an administrator. 7.2 Start -> Run "services.msc"
That is it. Now you should be able to get a published Wordpress site with your own domain name. 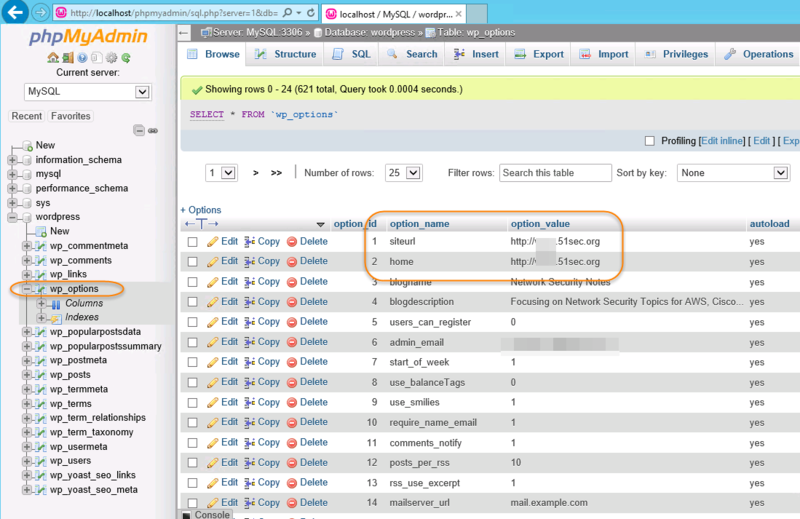 AWS free tier windows 2012 R2 base server is enough to host a wordpress site with a couple of thousand visitors per day.